Nazis or Communists? Which are worse? Note that both are SOCIALISTS. Arbeith Macht Frei - "Work shall set you free!" 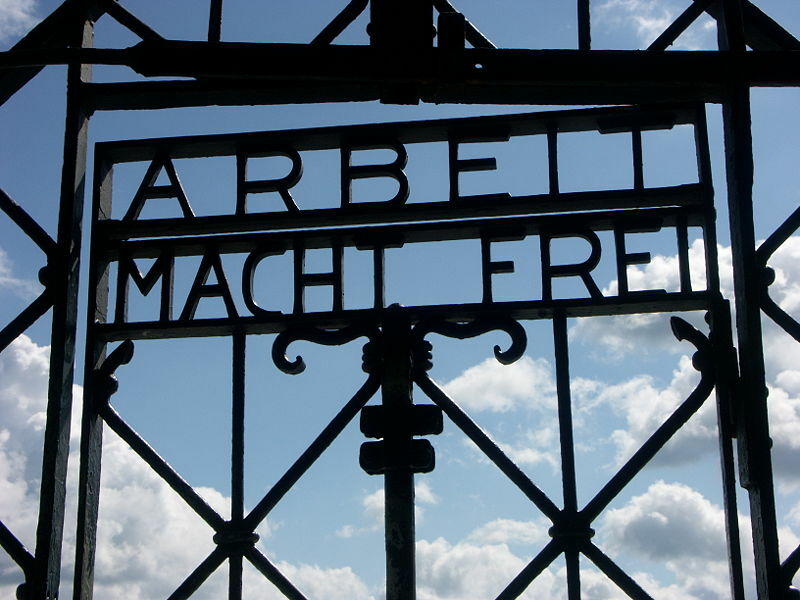 The sign above the entrance to Dachau. The Nazis murdered 6 million Jews and 5 or 6 million others in concentration camps, including Romas (Gypsies), Polish Christians, intellectuals, the mentally ill, and homosexuals. "Honest work: the road home to the family" - The signs at the entrance to the Communist Gulags are strikingly similar to the Nazi slogan. The Communists murdered 62 million people. 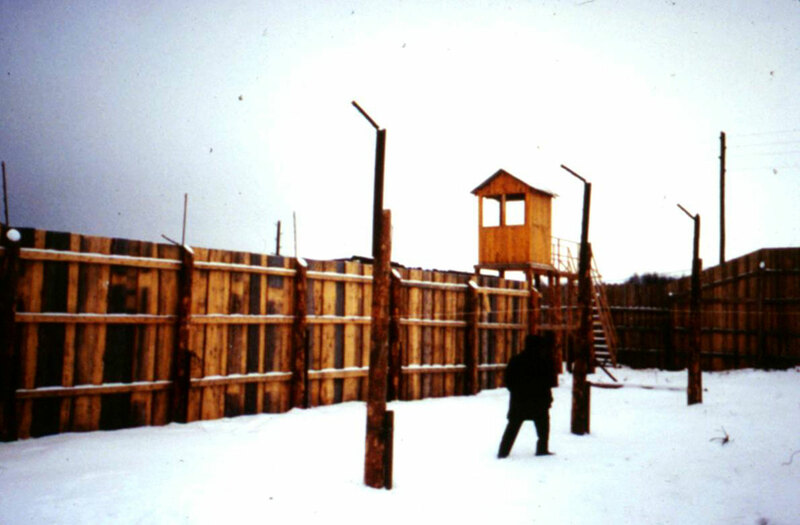 Millions of Soviet citizens were imprisoned in Gulags for the “crimes” of thinking differently, reading forbidden political, philosophical or religious books, raising a flag, trying to get religious instruction for their children, for undertaking a commercial enterprise or even for being late for work. This book, written by Avraam Shifram, a Gulag inmate, is a record of the evil created by Socialism. 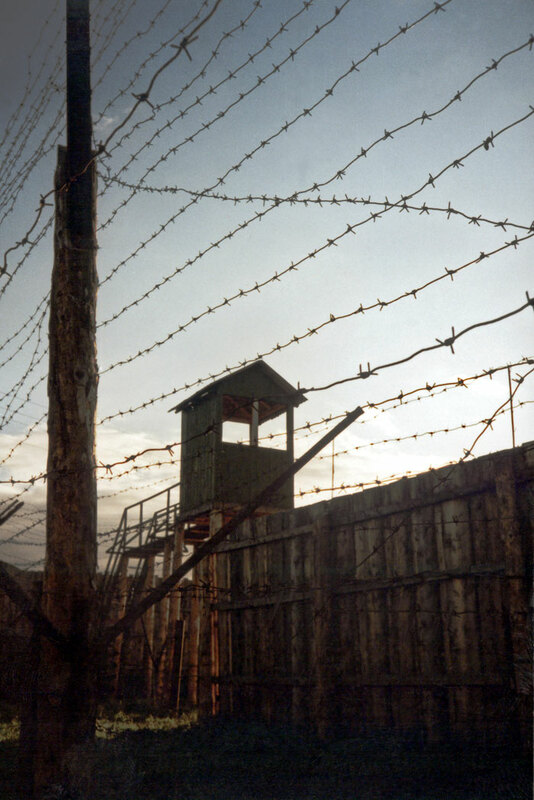 Soviet Gulags were present from 1917 to well after the war, and over 62 million people were murdered in these prisons. Map of 1,976 Gulags and Concentration Camps of the Soviet Union. 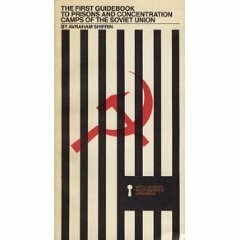 The First Guidebook to Prisons & Concentration Camps in the Soviet Union contains a map of nearly 2000 concentration camps. Read more about Soviet Death Camps HERE. So, which brand of Socialism is worse? Obviously, the Communists were far worse than the Nazis. The Soviets murdered five times more people than the Nazis. Soviet Gulags murdered and tortured ten times more people than the number of murdered Jews. While both figures are horrendous, it should be noted that any kind of Socialism will lead to the most barbaric kinds of evil. If Barack Hussein Obama succeeds in transforming America into a Socialist country, then MILLIONS OF AMERICANS WILL DIE. Progressives, Democrats, Marxists and Socialists are busy transforming America into an Empire of Death. It is every American’s duty to remove these evil men from power. Vote them all out of office! This entry was posted on Thursday, July 29th, 2010 at 11:01 am and is filed under 2 - Government & Tyranny, 4 - Freedom vs. Slavery. You can follow any responses to this entry through the RSS 2.0 feed. You can leave a response, or trackback from your own site.